Dr. Joseph C. Shyong, D.D.S., M.S. Dr. Joseph Shyong received his Masters Degree from Washington University and then moved to the N.Y. area to earn his dental degree from Columbia University, College of Dental Medicine. After completing his residency training at Albert Einstein School of Medicine at Bronx Municipal Hospital, Dr. Shyong opened his practice in Closter. He has been serving the North N.J. area for over 20 years and is an active member of the American Dental Association. 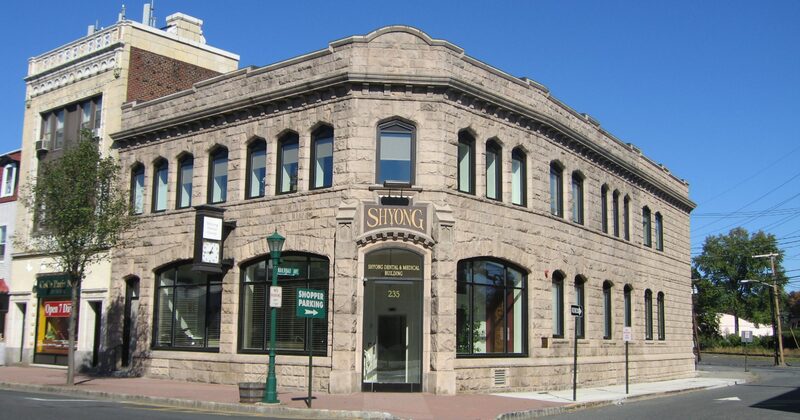 Dr. Shyong and his specialists offer a full range of services to accommodate all his patients. Dr. Andy Shyong, son of Dr. Joseph C. Shyong, graduated from Princeton University, and was a member of the Varsity Swimming and Diving team. He earned an A.B. in molecular biology and did his senior thesis on molecular markers important in learning and memory in the developing mouse hippocampus. Dr. Andy’s extensive course track while at Princeton allowed him admittance to Columbia University School of Dental Medicine after only his third year of college. Dr. Andy graduated from Columbia in 2004 and did his general practice residency at the Hackensack University Medical Center. Dr. Michael Shyong, like his brother, graduated from Princeton University, and was also a member of the Varsity Swimming and Diving team. He continued his education at the University of Medicine and Dentistry of N.J. and was one of a select few to be chosen to attend a clinical externship his senior year at the John H. Cronin Dental Center. Dr. Mike is now determined to save the world one tooth at a time. Dr. Wong received his undergraduate degree from the University of Michigan and his dental degree from Columbia University, College of Dental Medicine. He went on to complete his specialty training in endodontics at the University of Pennsylvania. Dr. Wong joined our team in 2007. He trained with and uses the most current techniques including rotary instrumentation and performs root canals using high powered microscopy for the most effective and optimal results. Dr. Kei Lam, D.D.S., M.P.H. Dr. Kei Lam graduated from Kalamazoo College in Michigan where she was inducted into Phi Beta Kappa. She received both her Doctorate in Dental Medicine and Master in Public Health from Harvard University in 1991. Upon graduation, she was given several awards including: Excellence in Undergraduate Periodontics from the Northeastern Society of Periodontists, Merit for Achievement from the American Academy of Oral Medicine, and the Law and Ethics in Dentistry Award from the National Society of Dental Practitioners. Dr. Lam received her Certificate in Periodontics from Columbia University where she received the Melvin L. Morris Periodontics Research Fund Award for Excellence. Dr. Lam served as an Assistant Clinical Professor in the Department of Periodontics at Columbia University from 1993 to 1999. She was also a clinical instructor at the Albert Einstein College of Medicine in Bronx, N.Y. from 1993 to 2000. Dr. Lam is a member of the American Academy of Periodontology and the American Dental Association. Dr. Nathan A. Wuebbels, D.M.D., M.D. Dr. Wuebbels is a dual degree oral and maxillofacial surgeon who received his dental degree from Southern Illinois University School of Dental Medicine and his medical degree from the University of Medicine and Dentistry of New Jersey (UMDNJ.) He completed his oral and maxillofacial surgery training at the University of Medicine and Dentistry of New Jersey (UMDNJ) and is trained in all aspects of oral and maxillofacial surgery. His comprehensive, 6-year residency training emphasized advanced techniques in orthognathic surgery, management of facial trauma, adult/pediatric general anesthesia, dental implants, bone grafting, oral pathology, distraction osteogenesis, TMJ disorders, facial pain, surgical exposure, and the surgical removal of impacted teeth. Dr. Jason Lin, D.D.S., M.S. Dr. Jason Lin grew up in the Tri-State area but went to the Midwest to attend college at Washington University in St. Louis where he graduated with honors with a double major in Biochemistry and Economics. He then moved back to the New York metropolitan area to obtain his Doctorate of Dental Surgery from Columbia University where he graduated at the top of his class with numerous honors and distinctions. He continued his education at Columbia University by completing an extensive three year residency in Orthodontics and Dentofacial Orthopedics where he served as Chief Resident during his final year. Dr. Lin currently resides in Long Island City with his wife, Yena. In his free time, he loves spending time with family and friends, traveling the world, is an avid New York sports fan, and a gym fanatic. He loves what he does for a living, devotes himself to loving others and the community around him, and takes great pride in developing beautiful smiles and the changes in self-esteem he encounters on a daily basis.